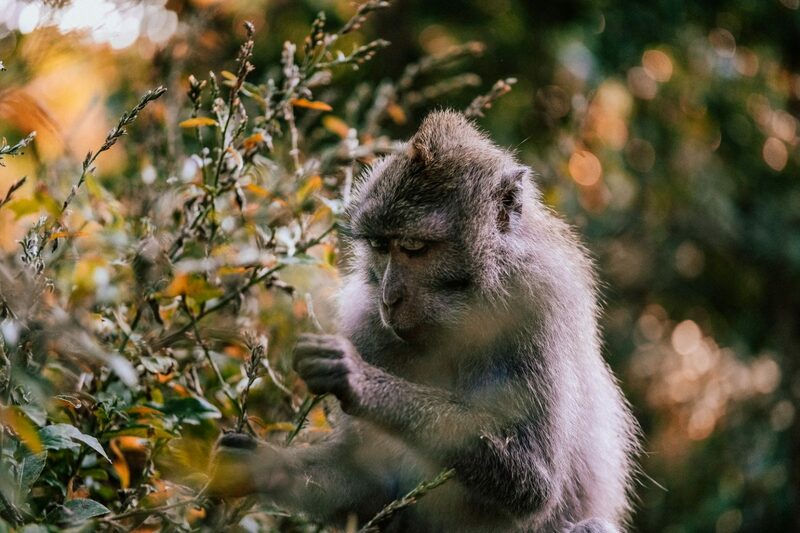 Being part of the island of Bali that is a little more in-land, talking about the wildlife in Ubud may seem like a little bit of a contradiction. Compared to when we were closer to the sea in Nusa Dua, there was definitely going to be a shortage of wildlife, right? 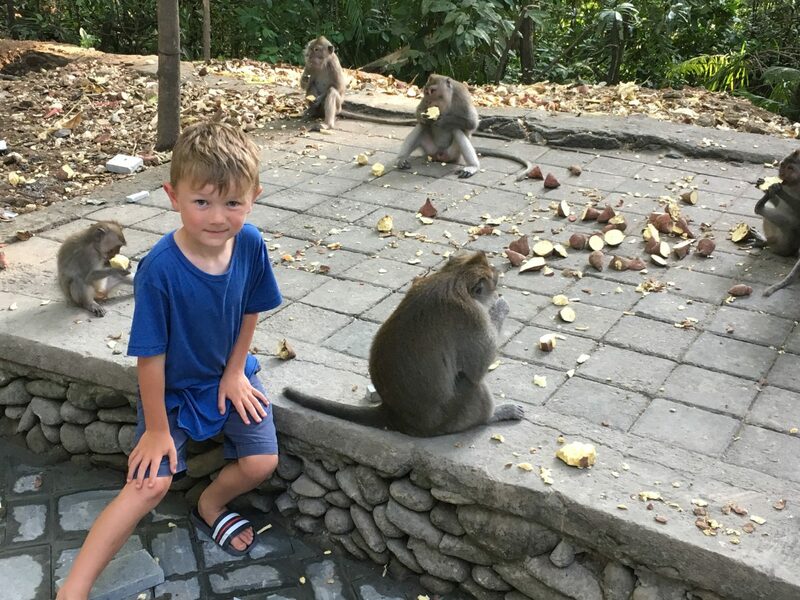 Of course, there wasn’t any aquatic life to see, but there was plenty of other wildlife to see in Ubud, but Monkey Forest was by far our favourite. As the name suggests, the forest is full of monkeys; monkey by name and monkey by nature, and all of that. 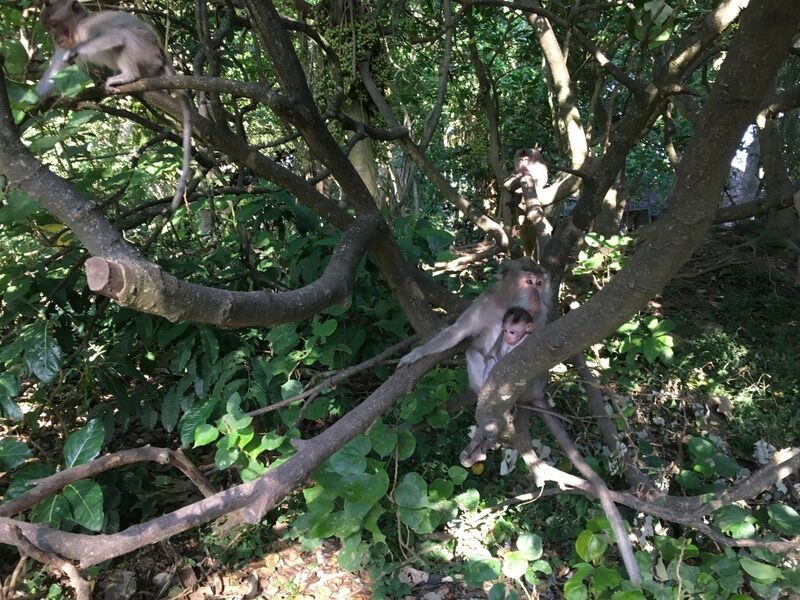 We are all pretty animal mad (in fact, have become vegetarian as a result), so seeing the monkeys do their thing in their natural environment and on their own terms was fun to see. They are so adventurous! We know that some monkey species are experiencing rapid declines in number because of a variety of factors, their location being one of them. 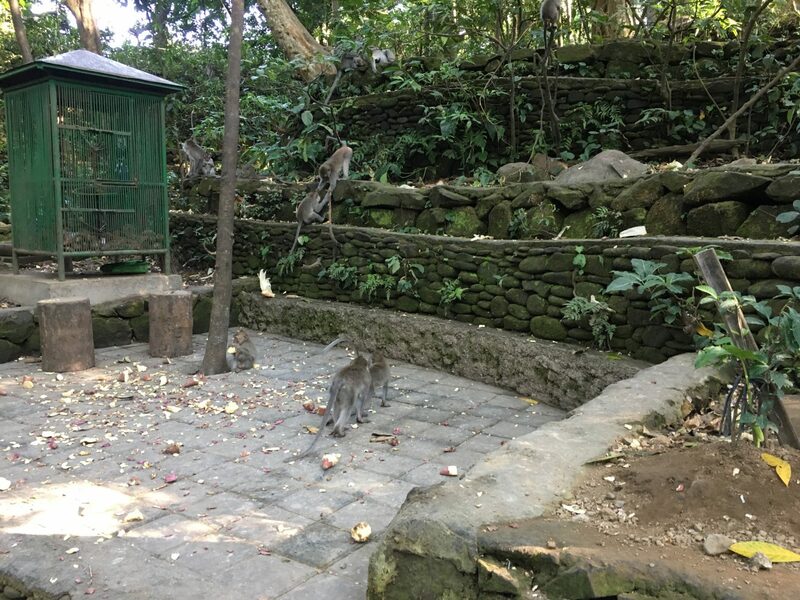 So it was nice to see how cared for the forest in Ubud was, and that there were signs of different ‘rules’ to observe when you’re in the forest, to ensure that the monkeys are able to thrive and grow. 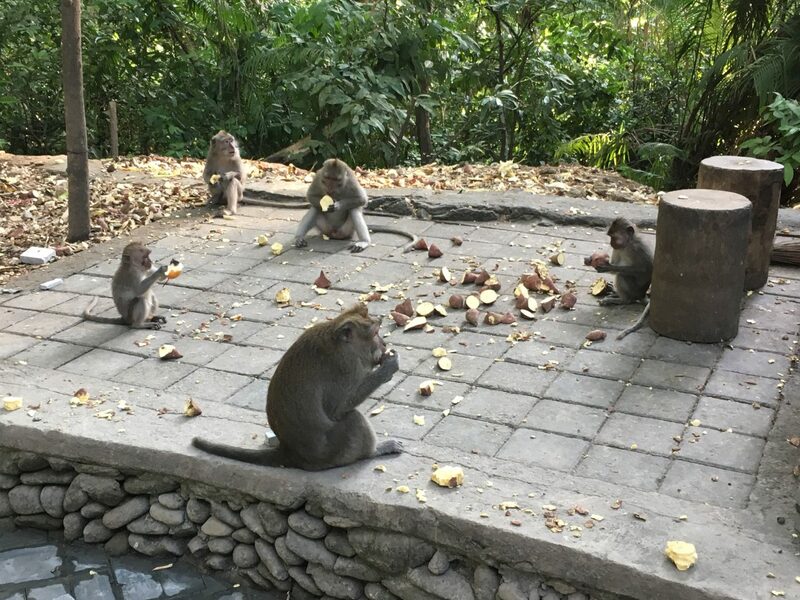 In fact, the locals see Monkey Forest as an important spiritual and educational place, as well as for conservation, so it was great to see how respected they monkeys are, and just left to do their thing. The setting was perfect, as was the weather, but sadly, I had missed the memo about the hipster / gap year dress code…! A note for others if you’re thinking of visiting, ha. But what can we learn from our primate friends? The structure and order that monkeys have, especially in their social interactions, was interesting to observe. 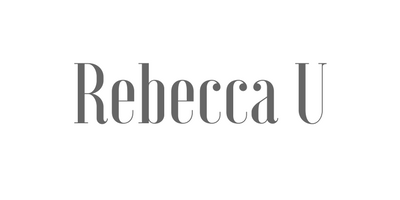 And because of their love of structure, I pretty much know they are my spirit animal (hello, Monica Gellar). They are intelligent animals, and you can see that they don’t like being alone for long; they thrive in groups and being social. It was interesting to see that if something throws them off their plans, much like with us humans, it can lead to a little bit of stress and needing to take time out to regroup. As odd as it sounds, this was easy to see with the monkeys. Structure is all well and good, but all work and no play is not good for us, or the monkeys. They are a really fun species and enjoy playing games and spontaneity in their lives. This was evident to see in the monkeys no matter the age. The latter, the spontaneity, is something I definitely need to work on and learn from them. But I am all for having fun and playing games. When the monkeys are out there in the forest, they just have each other to warn them of dangers. Whether that be other animals, humans trying to touch them, or anything else, they help each other and warn each other. They have low chatter noises that they use, as well as higher pitch screaming, and even clicking that they use depending on where they are how far away others are. i love the ‘looking out for each other’ mentality, and think that it is something we should all be doing more ourselves. Although there were signs in the forest that said that you shouldn’t look the monkeys in the eye (it can feel threatening to them), they do have the most expressive faces and it was hard not to stare! They really make the most of their non-verbal communication, in a variety of ways. With the babies, you could see when the parent was trying to be protective over it, by snuggling it and almost hiding it away. But even from adult to adult, they were touching each others faces as a way to be social and communicate, as well as using their facial expressions. I was honestly in awe over the social attributes of the monkeys in the forest. The primates are in tune with each other, as well as what is going on around them, which can often change and be quite busy with people coming and going. But they were seen helping each other to find food, caring for the little ones, and staying safe and protected. It was very interesting to witness their interactions with each other. What are some of your favourite wildlife adventures? Have you been to Bali before? It would be great to hear what you think. This is a completion entry. To win a Safari holiday with Audley Travel, share your best wildlife photograph or video on your social media channels. To enter write #AudleySafari and @AudleyTravel on your Instagram or Twitter post or share directly on the Audley Travel Facebook page here: https://www.facebook.com/audleytravel/. To find out more or enter via the website, visit www.audleytravel.com/social. Entries must be posted between 20th August – 23rdSeptember. What a stunning place to visit! Those monkeys are incredible! I’d absolutely LOVE to visit there one day. What an amazing experience to have and such a stunning place to visit – I’d love to go to Bali one day. I’d love to visit Bali one day. I love monkeys so this place looks amazing! Hope you get a chance to visit, we love monkeys too they are so fun! That looks amazing. I’ve never visited Bali before, looks a little on the hot side for me haha! 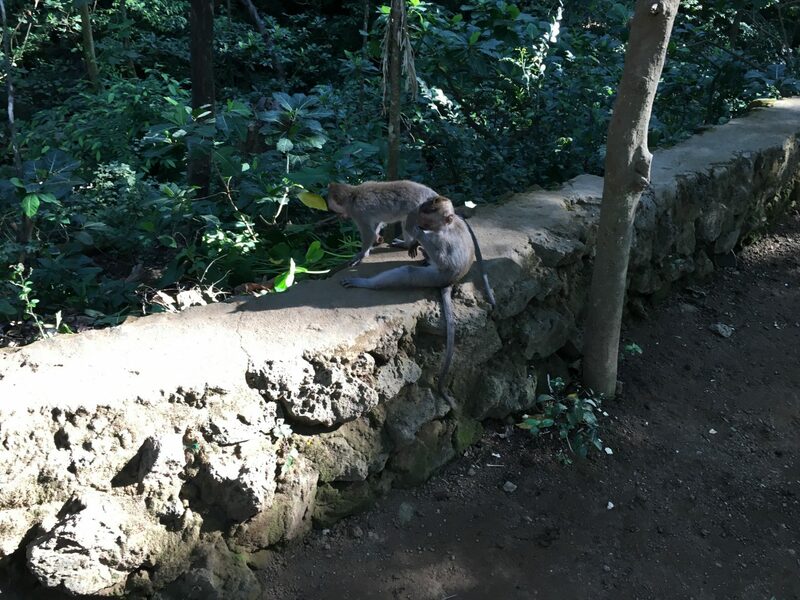 We never managed to visit the monkey forest when we went to Ubud. I just love your description of how they all interact with each other though. It sounds like we really missed out. Maybe you’ll have a chance to go again?